The Iran Sport for All Federation penned a letter to Iran's Ministry of Youth Affairs and Sports to ban activities, including Zumba, for contravening "Islamic ideology". The federation has the country's highest membership status in the Association for International Sport for All (Tafisa) that is based in Frankfurt. Founded in 1992, the Iran Sport For All Federation is a licensed regulatory authority for a range of sports and operates provincial branches and offices in state organisations. 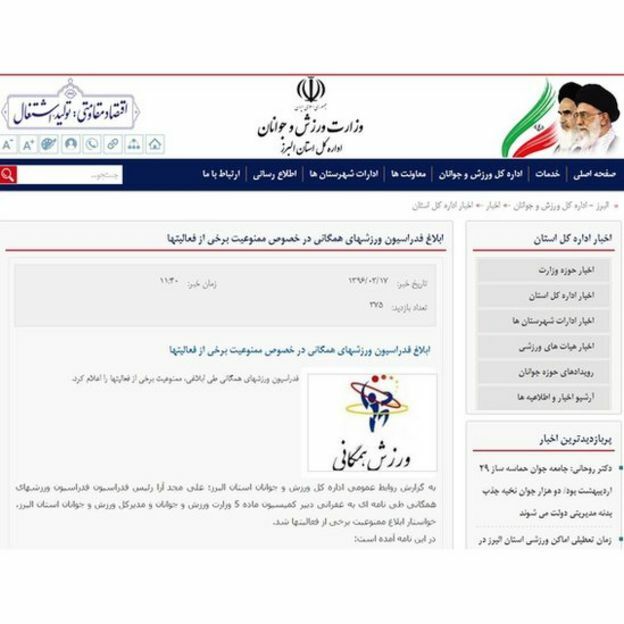 Iran Sport for All President Ali Majdara's letter, posted on the Iran's sports ministry website on 7 June, said the aim was to "develop athletics for everyone in the framework of supreme Islamic ideology and the Islamic Republic of Iran's sport structure". "Please issue a regulation to ban some activities, such as Zumba, which include rhythmic motions and dance and are unlawful in any shape and title," the letter continued. One Twitter user joked: "The Oscar for the most Daeshi [so-called Islamic State group] news of the day goes to this..."
"Have Colombia not summoned the Iranian ambassador yet?" another added - the Latin dance is said to have originated in Colombia. "We have been teaching Zumba for 12-13 years and if they ban it, we will continue our class under a different name. Zumba is one of the most profitable activities and the [sports] clubs cannot ignore it," a gym manager in Tehran told the reformist newspaper Aftab-e Yazd. "How many pillars does Islam have? One is at risk for the non-observance of hijab, another one over women watching sport matches in stadiums, the third for holding music concerts, the next for epilation and, the most recent one, for Zumba," one Twitter user commented. 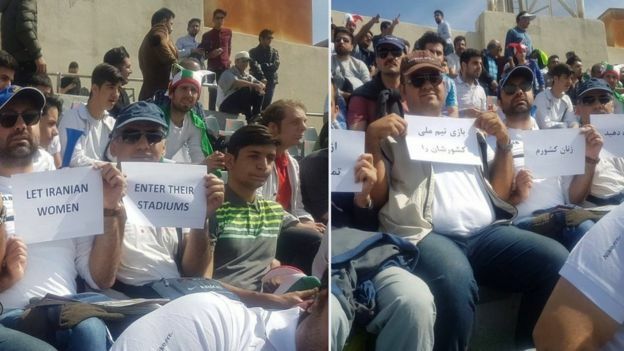 Iranian women have been banned from men's football matches for a number of years. At the same time on the other side of the world, thousands in Mexico City set a record for the world's largest Zumba dance fitness class.